Normally when you speak you are addressing an audience and you are speaking about something. There is a message you are giving to somebody. Here when you are speaking on the occasion of a day, you are trying to say what does the institution mean to you. It is something worth thinking about. I think there is something about the institute that calms you and makes you selfless. There is something about the institute that makes you think more about others. An alumnus once said it well. He said, you will find many SPJIMR students who have gone to the US and other parts of the world. You will not find a single SPJIMR student with an American accent. There is something about the institute that keeps you grounded and humble. For me what it has done is that it has changed my concept of leadership. I had come in as an entrepreneur. If I was asked to introduce myself, I would have a three-minute summary of my biodata. I had learnt that you need to put your label upfront. Over a period, I have stopped doing that now. When I introduce myself now, I just say that I am Ranjan and that’s it. It’s been quite a year at our Institute. We have a lot to celebrate – in terms of new programmes and initiatives, collaborations, many firsts in areas as diverse as: the inaugural Sparc event, the first faculty-staff joint retreat, a fillip to the ‘R’ in SPJIMR with the launch of our first Fellow programme batch, the impending launch of our first (and possibly, the world's first) programme for returning women etc. More than this, we should take heart from the environment that we are moving towards. It is an environment where someone with an idea feels free to take it forward, knowing that the Institution may question, but will question with a view to finding a way to say yes, rather than a reason for saying no. 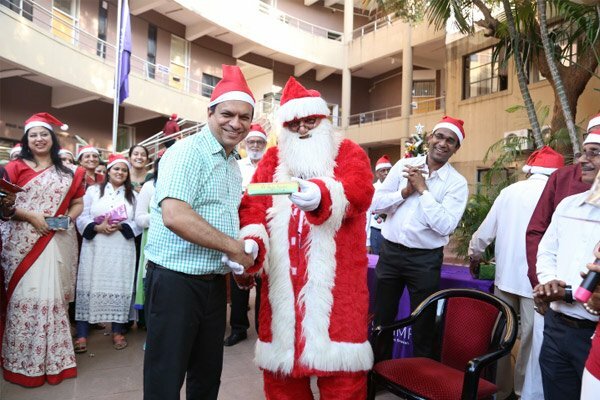 Initiatives such as the ‘secret Santa’, the quiz club, the SPJIMR-POMS conference, multiple events on the alumni front including a new, more inclusive Spandan, and others are possible due to this. It is a concept of psychological safety. It is the freedom to express yourself in the workplace. It also means a sense that credit will be given where it is due. You have completed one year and well into your second. How do you assess your tenure so far…are you pleased with yourself? There are things to be proud of. On the whole the answer to are you pleased with yourself is ‘Yes’. Is there more that we can do? Is there more that I have to learn? Is there scope for me to improve? Again ‘Yes’. When I joined, it was a reasonably complex situation because you had a strong leader who was there for a long time. He was not there for a year, but I think he had started moving away before that. When I came in there was a lot of ambiguity, there was a lot of uncertainty, a lot of people sitting on the fence. I did know that at that point of time some of the faculty was considering whether they should stay with the institute, whether it had a future. It is now more than seven months since I began my stint at SPJIMR. It has been an interesting period, full of new challenges and constant opportunities to learn and grow. There is optimism, energy, a growing sense of teamwork and camaraderie, and the foundation for a new phase of growth. This is accompanied by the sobering realisation that our aspirations are large, and we still have in excess of 90% of the journey to travel. We lost a respected and loved leader, Dr. Manesh Shrikant, in the past year. This was a difficult and emotional phase for the Institute and its well-wishers. We emerge determined to carry his legacy further, and as a simple gesture, have announced three initiatives to honour his memory – a Chair Professorship for Spirituality and Leadership, a memorial lecture in his memory to be held on his birth anniversary every year, and the naming of our new auditorium in his name. 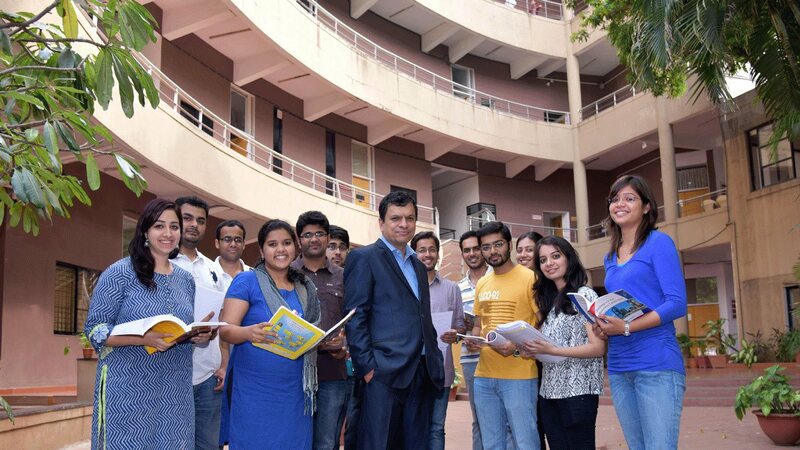 At an aggregate level, the best way to take Dr. Shrikant’s legacy forward is to build on the foundations laid by him. I will use the rest of this missive to share progress on that front. What have we done in this period? A lot of it has been about communication and understanding. We have co-created a vision together, and taken it to our stakeholders. In doing so, we have learned more about how the vision needs to be adapted, and in some cases, the execution timed to ensure that our aspirations do not race ahead of our capabilities. We have taken initiatives that move the needle for faculty, staff and students. Faculty development was identified as a key priority at the retreat, and we have moved aggressively on this. Some of the best researchers in the world (from institutes like LSE, LBS, Cornell, Texas-Austin) have come down to train our faculty. Projects have been identified, and proposals are now being reviewed by some of the world’s top researchers. We have done a lot to enhance faculty-student connect. Vishwas, a student counselling cell has been launched. A one-to-one mentoring plan is being worked out. We have tried hard to create greater approachability, and my door is open to student grievances and suggestions. 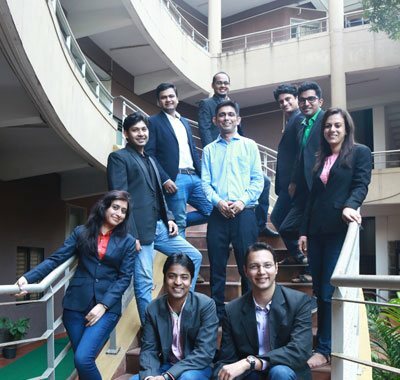 We launched a Design Thinking course for both PGDM (the two year MBA programme) and PGPM (the one year MBA programme) which was co-delivered by eight faculty. I did not know Dr. Manesh Shrikant personally. However, there is a sense in which I can say with some confidence that I knew him quite well. During my first two months at the Institute, I had over 41 one-on-one meetings with my faculty team, where I listened, asked questions and got to know my team. 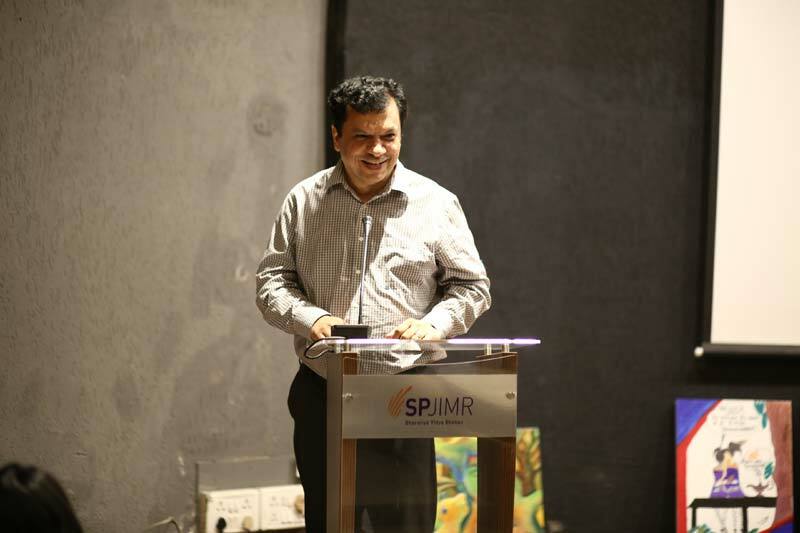 Each faculty member had a story to tell - of how they were first attracted to SPJIMR, the impact that their first meeting with Dr. Shrikant had on them, the way in which he touched their careers and enabled them to grow. There was admiration, awe, respect and some fear. Academics tend to be easily critical, and the fact that the word ‘great’ came up time and again suggested that this was no ordinary leader. In the period immediately post his demise, emotions ran high, and I had many a cathartic meeting with members of the SPJIMR family. In sum, the picture that emerged was that of a man who supported his people through tough times, visited a senior faculty member in hospital and sat by his bedside for two hours, spent an hour explaining a concept on the phone to a new faculty member till he was confident that the faculty member was comfortable, shared books with faculty and discussed ideas with them, sat with students and pushed them to higher standards, spotted talent early and gave it the freedom to express itself. Professionally, the picture that emerged was that of a visionary, somebody who had seen the best that Western education had to offer, and knew that India (and SPJIMR) could do better. A man who saw that management was a practice-oriented field, and hence realised the importance of recruiting for attitude and enhancing it, pioneered the creation of innovative non-classroom initiatives to strengthen attitudes and build skills, realised that wisdom came through reflecting on deep experiences, and then designed those experiences into the curriculum, who saw emerging market segments like the family business segment before anybody else did, who practised design thinking in his own Institute, well before the term became the flavour of the month elsewhere. He created an Indian model of management education, a model based on authenticity, local relevance and balance between cooperation and competition, between profit and purpose, between East and West. In short, he was a thinker who was at least a decade ahead of anyone else. A new journey begins this weekend, August 1, when the first of the ten planned SPJIMR alumni meets takes off in Mumbai. On this occasion, I want to share the progress we’ve made so far and seek your inputs and support as we prepare to move to the next level. In the last two months, we have co-created a vision statement with our faculty, and identified a set of proactive and innovative initiatives that will help us move faster. We have set for ourselves an agenda that will drive deeper connections with all our stakeholders, and particularly with our alumni. We are listening better, taking quick decisions, making many correct moves, and through open feedback, rapidly correcting the decisions that we do not get right the first time. As an immediate next step, we will be socialising our vision statement to the staff, the students and the alumni, beginning with the first alumni meet today. We have unprecedented turnout for this event, more than double any previous alumni meet (We had to change the hotel because the signups exceeded even our expectations). We see this as a sign of the deep desire of our alumni to participate in, and contribute to, our growth journey in multiple ways. Subsequently, we will launch what we have called ‘Mission 100’, a proactive initiative to reach out to leaders of corporate India and identify and align on substantive areas of partnership. We have begun the journey to create an energised community of employees and alumni who will work together to take us to the next level. Throughout this journey, we look forward to feedback from all our stakeholders to help us get better as we attempt to move faster. We can move mountains if we continue to work together on multiple fronts. It is now three days since I have taken charge as Dean, SPJIMR. Each day so far has been enjoyable, challenging and full of promise. There is much to do, and so much strength to build upon. Our emphasis in these initial months will be on communication and collaboration. We are trying to open up channels of communication with our students and alumni. The faculty team is engaging in one on one discussions with me as a precursor to a co-creation workshop in July which will help us shape our future. We will then take this shared direction to our alumni across the world, and seek their input. 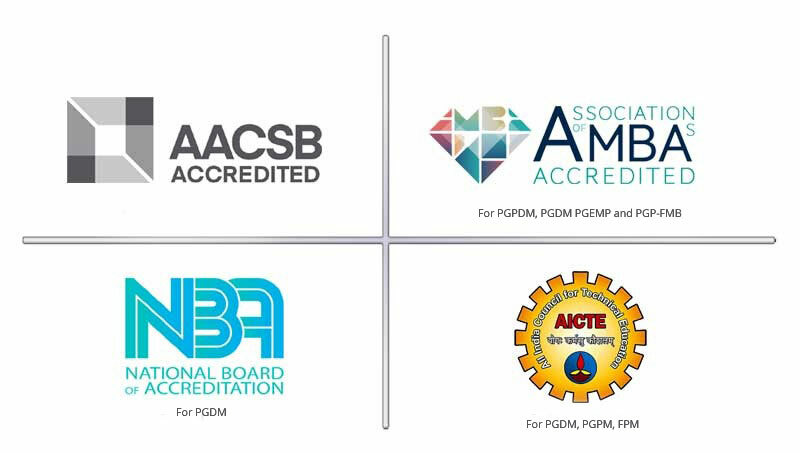 We also plan to take the lead in terms of industry academia interaction, and post the alumni interactions, we will reach out to leading corporates with a comprehensive suite of alternative areas of engagement. We are taking the first baby steps to move your institute forward on the journey from good to great. We intend to be an institute that creates avenues for feedback, listens with an open mind and then acts. Very often, a significant portion of the solution to an institute’s challenges and opportunities lies dormant in the minds and hearts of concerned stakeholders. This is where we will start this journey. Please do feel free to write in to us with your ideas. We have made a small beginning, and the ‘long and winding road’ lies ahead. We must have this culture of helping each other. 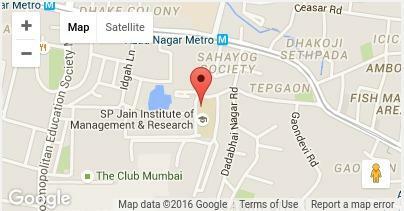 Welcome to SPJIMR. First, how does it feel to be the head of a leading B-School with a heritage as rich as ours? What are your initial thoughts as you settle into office? I think I'm barely into the job but around a couple of weeks before I joined I addressed the faculty…really for me the joining started at that point in time. The response of the faculty has been very warm and people are very open. We have started a few small initiatives and by and large, from the responses I get, I see that they are responding well. I think this is a very authentic Institute, an Institute that is uniquely poised, with a history of being innovative, an Institute that has a strong foundation and hence a lot to build upon... there is a lot to do and a lot to contribute. I think people are good, and that's to the credit of the people here. It has nothing to do with me. The only thing I have done is convey that I'm open and approachable. I would like to understand the Institution before I start taking action. As intent and as an approach, that has been well received.